A 15-year old lending library, Lipi Library in BTM Layout is a treasure trove of books of all genres. Latest top sellers to hidden gems, you can find everything here and take home for some solid reading. It's the collection, the old-school charm of a lending library, and the fact that finding a book is something short of a treasure hunt that makes Lipi Library a favourite. 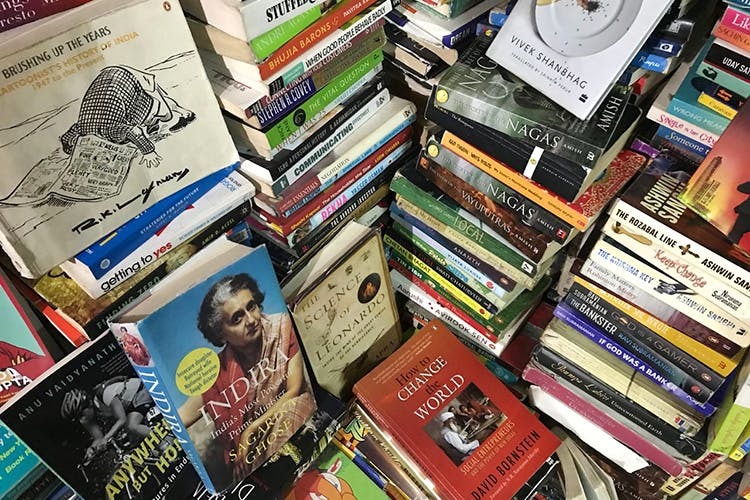 Bookworms and those trying to get into reading, the collection of fiction, non-fiction, classics, self-help, biographies, and young adult and children's literature will make sure something catches your fancy. From Kafka On The Shore to The Da Vinci Code and Lee Child to Neil Gaiman, you will find authors and books stacked away every inch of the library. Mind you, the quaint library is little with space for just about four people to browse at a time, but that's what adds to the charm. The library isn't crowded on weekdays, so you can have the entire space to yourself to spend house searching for books hidden away in corners or under piles. Even the friendly owner Prathap will help you out in your hunt. It's a through and through a library with a one-time registration fee of just INR 200. Do check the timings of the store and confirm with Prathap before heading here as we've had too many instances of the place being closed.